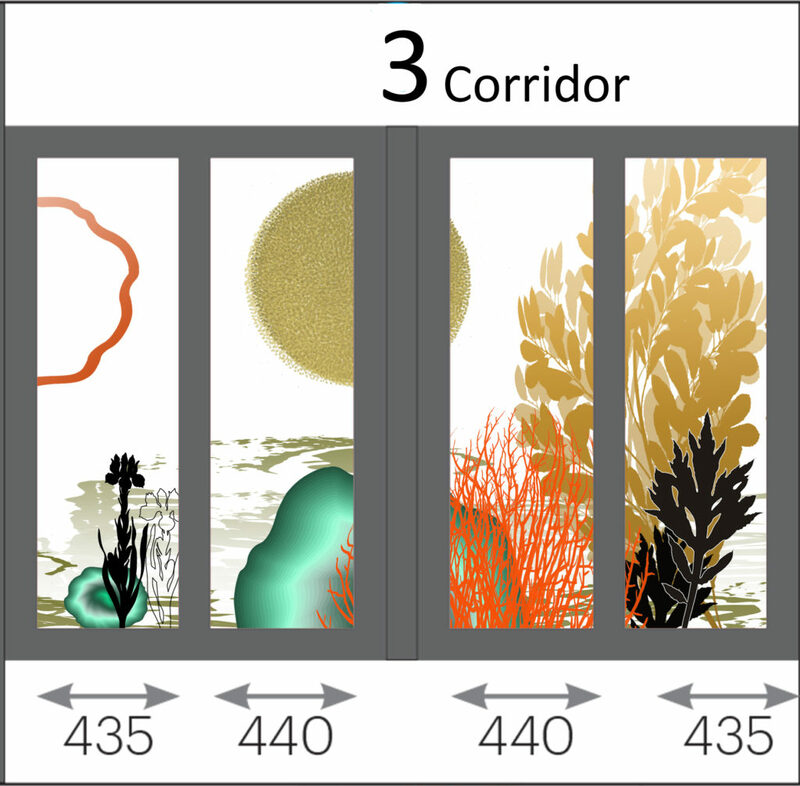 Draft artwork awaiting approval to go into production – we are working with our client team to review / comment and approve in the next few days so we can meet our install schedule. 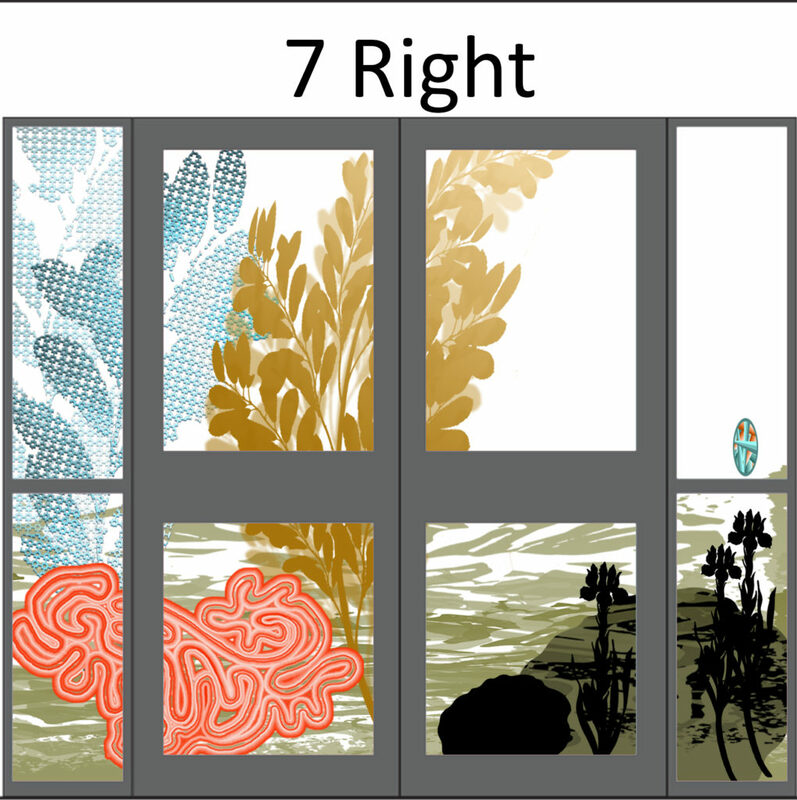 At this stage I set all the imagery against a black background – which actually indicates glazing with no printing – just clear glass. 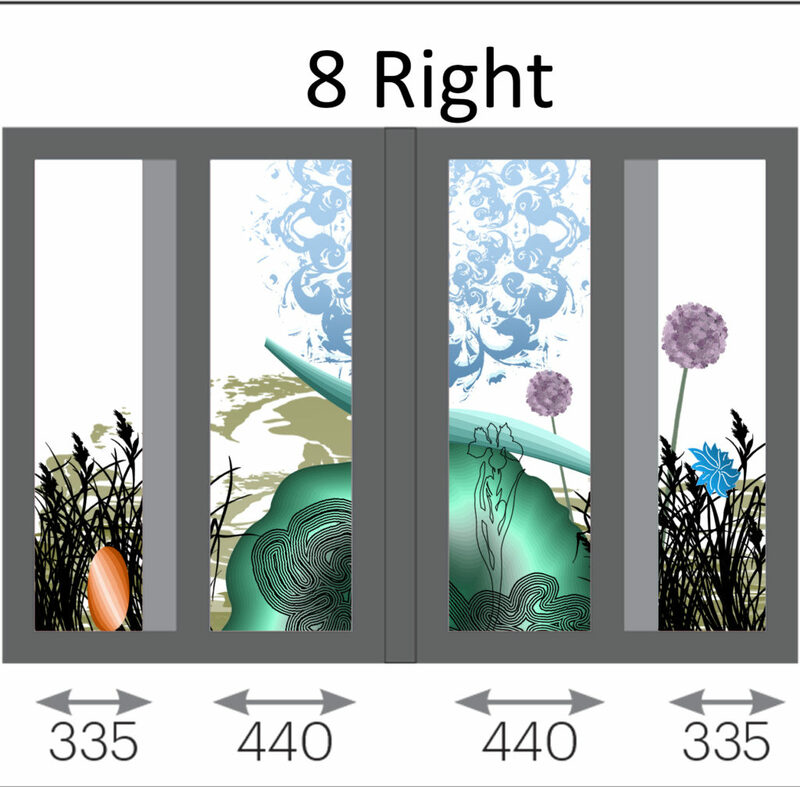 This work will be digitally printed onto optically clear vinyl. The process allows for a layer of colour, followed by a layer of white and finally another layer of colour. 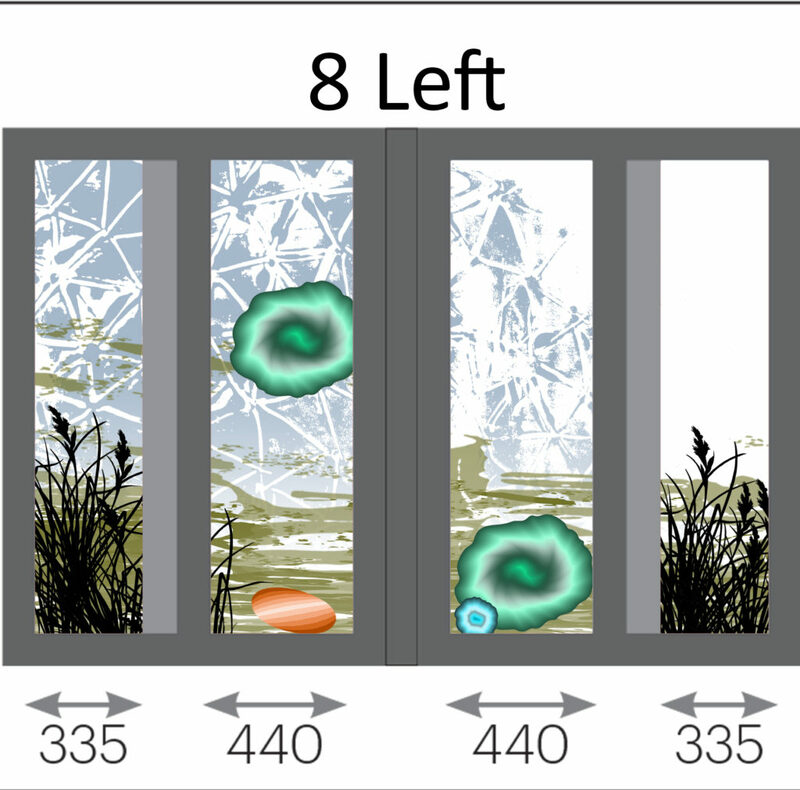 The artwork can be read equally from both viewing sides – inside or outside the building. The production level artwork files, sampling and final digital printing and installation is done by my long-time collaborators, Vinyl Graphics Ltd. 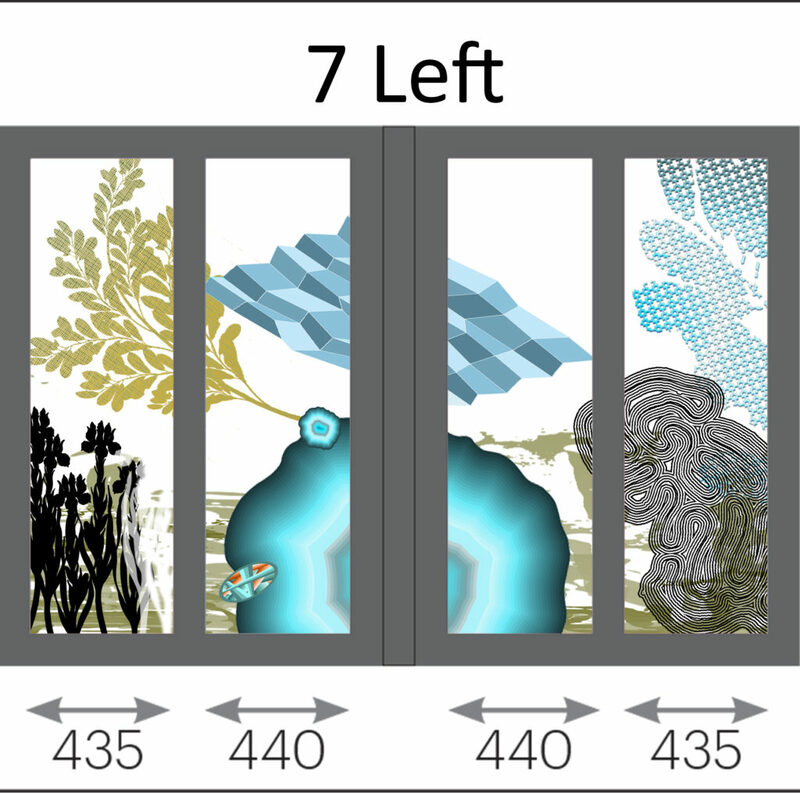 Various degrees of opacity and transparency are designed into the artwork. As a rule this is worked out via single colour files – in this case magenta – which clearly indicate degrees of opacity. Mental Health Services at Littlemore Mental Health Centre, are directed and managed by Oxford Health NHS Foundation Trust . 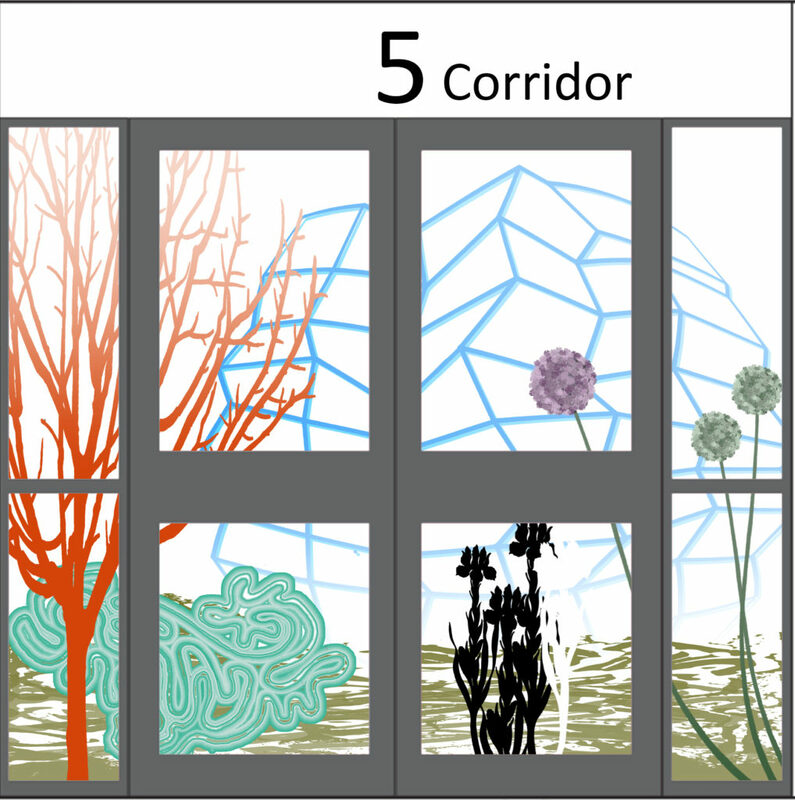 This arts in health project was commissioned for Wenric Ward , which provides Low Secure Adult Services – by Tom Cox of Artscape and the Staff of Wenric Ward. Information about the history of the earlier Littlemore Hospital in Oxford can be accessed via this link to the Oxfordshire Health Archives and to the accompanying site about County Asylums . Tom worked alongside Occupational Therapists Helen Keay (Senior OT) and Holly Williams, in collaborating with patients, to undertake a series of workshops centred around drawing and mark making. I was subsequently provided with access to these drawings as inspiration for the artwork, using where possible, drawing motifs, textures and colours which formed part of the outcome from the creative sessions. The project site is created within the internal circulation space of the Ward, centred around a small external courtyard. 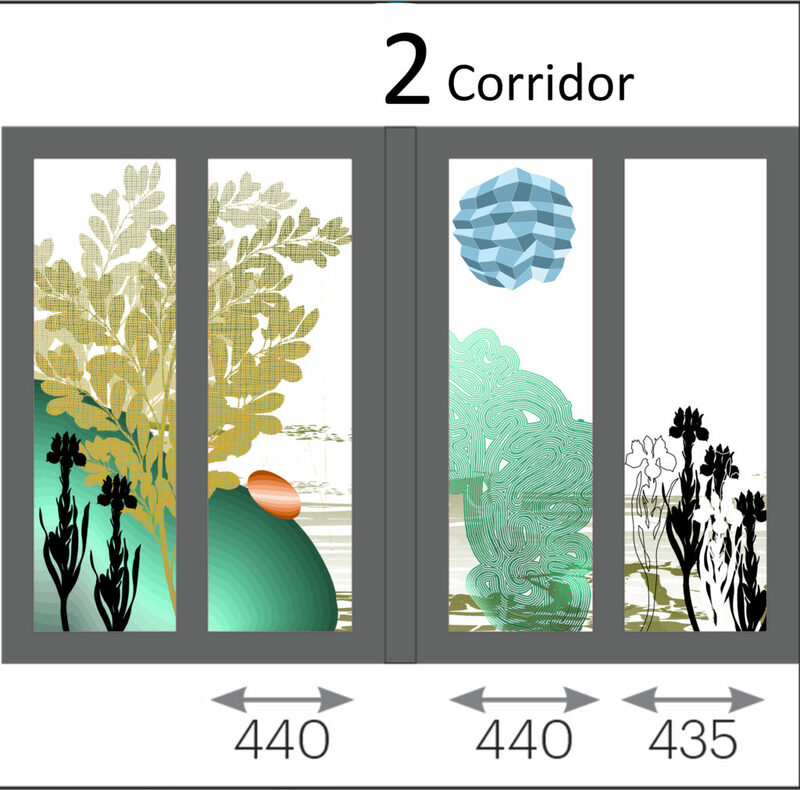 Artwork will be digitally printed onto optically clear vinyl and applied to the glazing, which provides views into the courtyard. 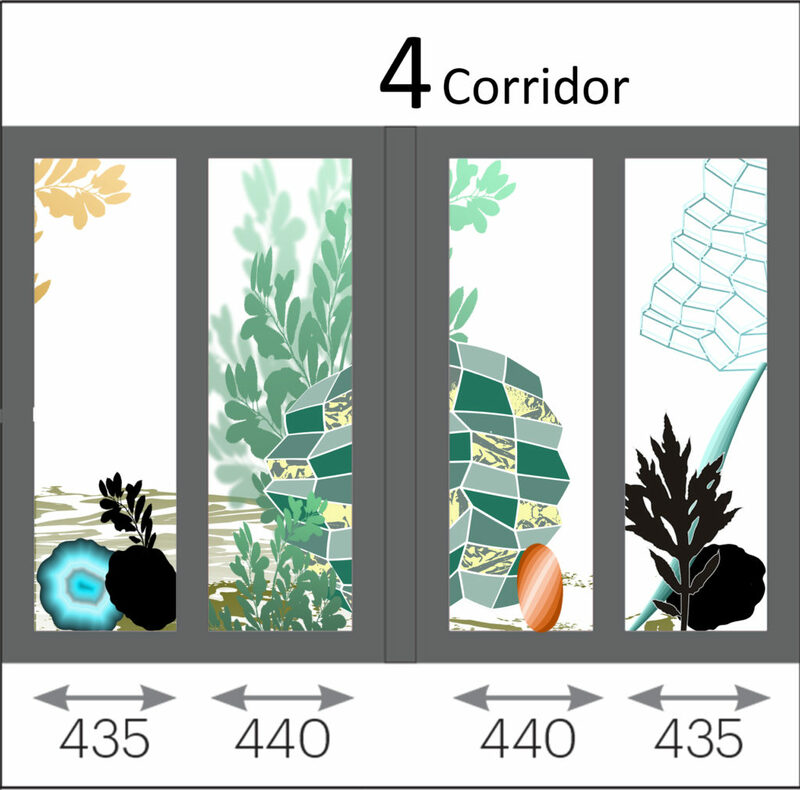 The artwork has been commissioned to be applied on three sides of the courtyard glazing taking in the Circulation Corridor, Lounge and Multi-Faith Room, animating the space, introducing colour and detail and to visually engage patients and staff.